Why is it that guys get to have baggy, feature-heavy pants, while women have small pockets and tight cuts? 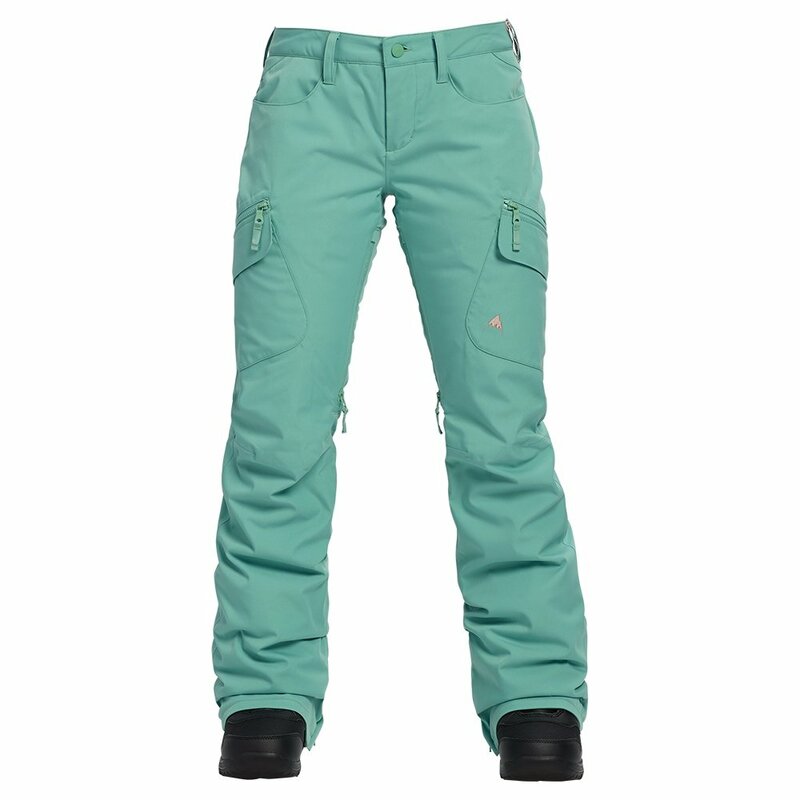 Well, Burton wondered that too, so they made the Burton Gloria Stretch Pant for women. With a slim fit and super stretchy fabric, you have the freedom of movement of a baggy pant with the style of a tailored, flattering pair. Two large zippered cargo pockets provide way more storage than most women's pants and the 10K waterproofing rating offers perfect mid-level protection from rain and snow. 60g of insulation make the Gloria a great all-purpose snowboard pant. Two large cargo pockets provide space on your legs for a phone, gear or more. Two-layer fabric has a 10K waterproofing rating and 5K breathability rating, great for mid-winter resort riding. A slim fit with stretch fabric allows you to move any way you need and look good doing it.